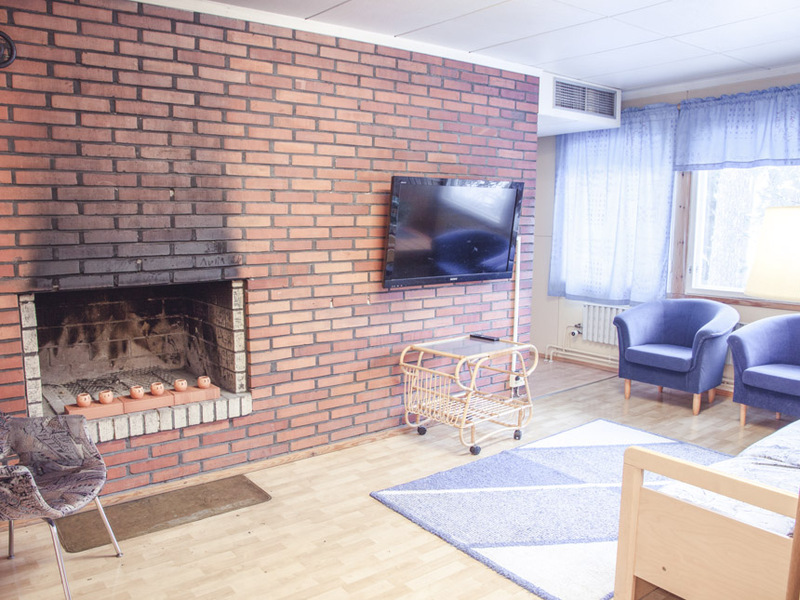 Holiday apartment or camping cabin? 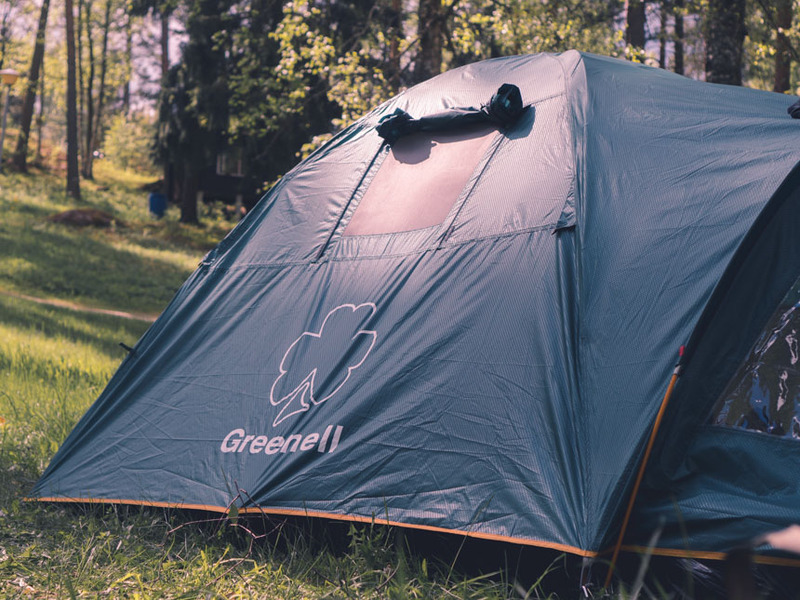 With us you'll also find a great space for a tent or caravan. 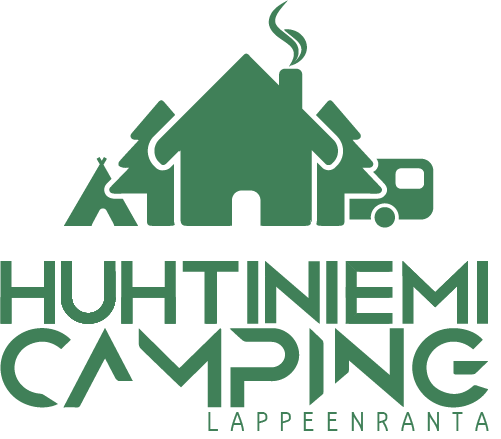 Huhtiniemi Camping is a beautiful and natural camping site by Lake Saimaa. Inside the 10 hectare you’ll find camping cottages, designated spots for caravans and tents as well as a few holiday apartments. There are also service buildings, kitchens, barbeque areas and many other services at your full disposal. The area also has a few saunas, which you can rent and a nice beach. The reception, along with a café where we serve both alcoholic and non-alcoholic beverages is located at the main gate. The area has two comfortable holiday apartments that will meet the needs of the most demanding customers. The apartments come with individual toilets, showers and kitchens and are each suitable for 5 people. See the details below. 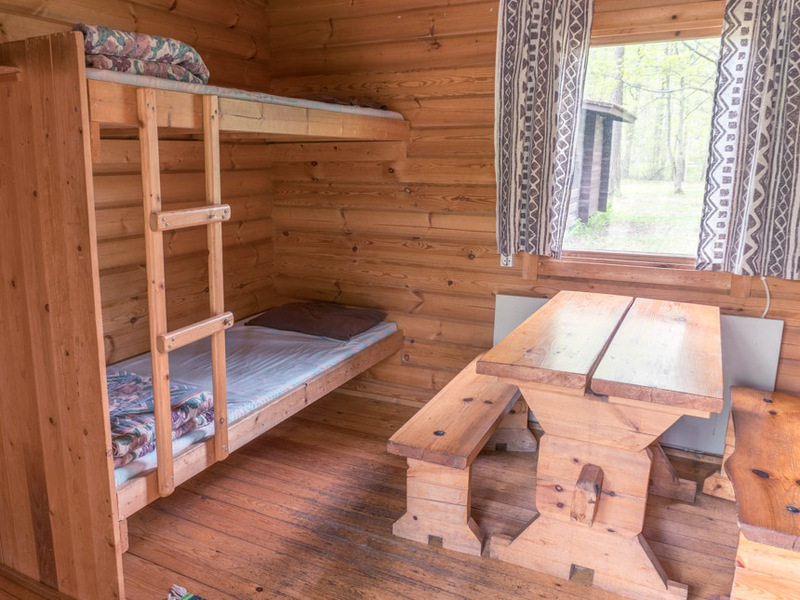 Our cozy cabins come in two different sizes – for two people or four people. We have a total of 33 four-person cabins and two-person cabins. Toilets, showers and kitchens are located in the public service buildings of the area. See the details below. 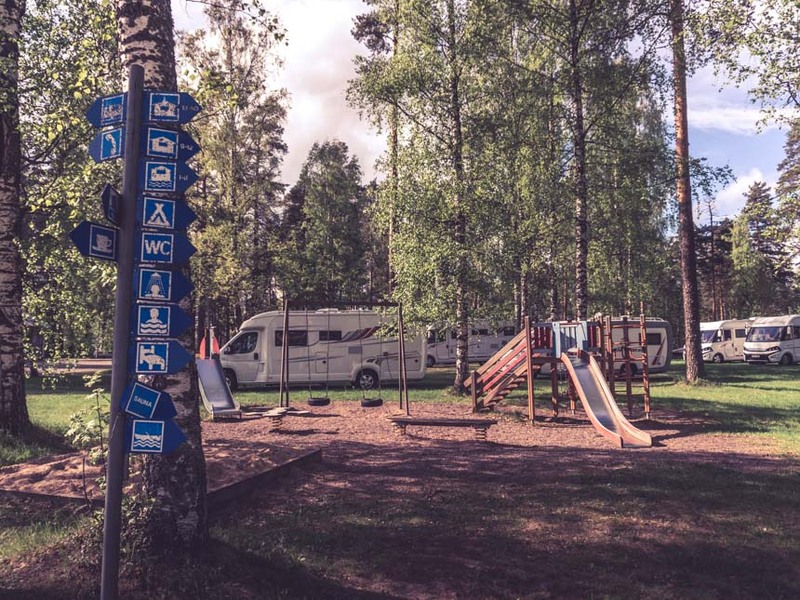 Our area’s extensive lawns are very well suited for camping purposes. 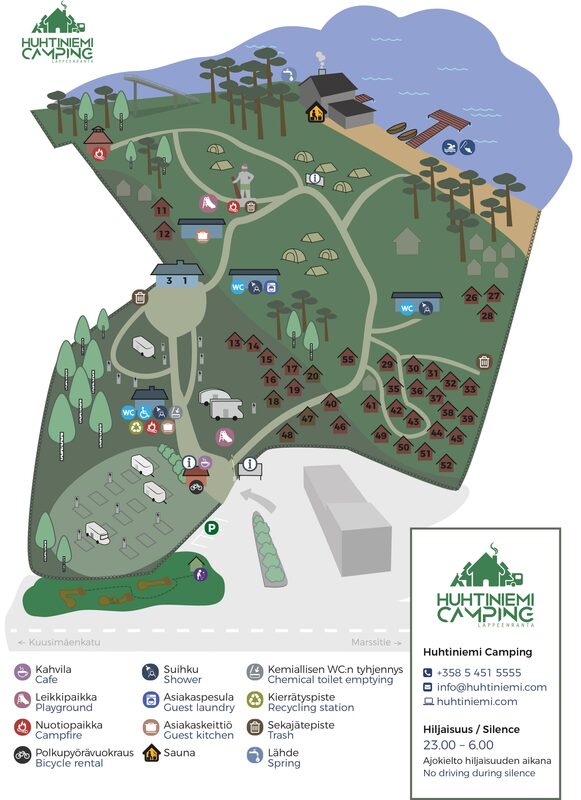 Great scenery at the beautiful Lake Saimaa, the central location and excellent services guarantee an enjoyable camping experience for you. Check the area map from below. The area has 80 electric parking places and numerous unpowered places. Extensive lawns make it possible for you to park your bigger unit easily. We don’t reserve specific or fixed places so you may choose the spot of your liking on your own.